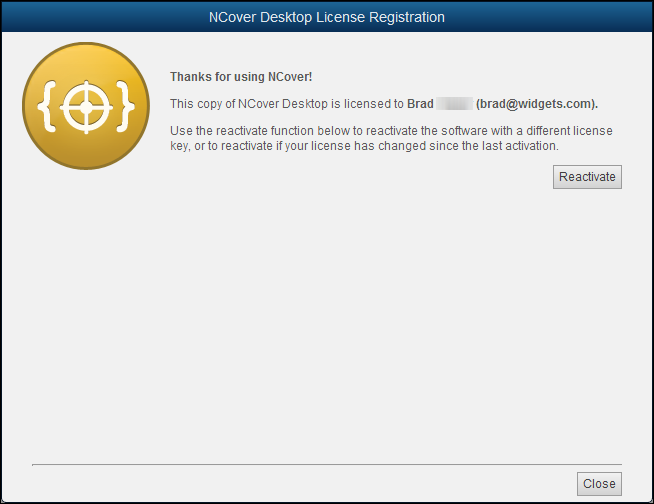 You have a trial version of NCover Desktop, you purchased a new license and need to activate it in place of the trial key code. 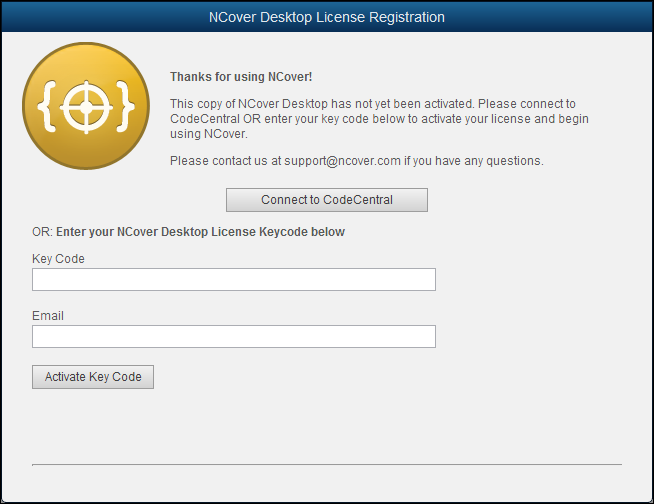 You have upgraded from NCover 3 to a current version of NCover and are using the same license key code. 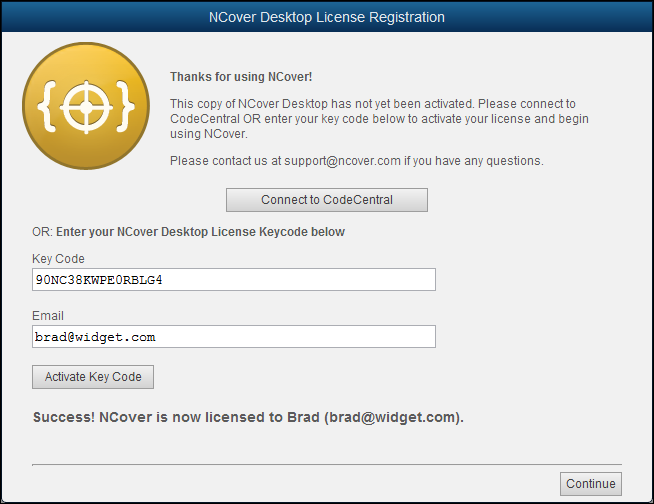 You purchased a subscription for your existing NCover license and need to re-register your key code. 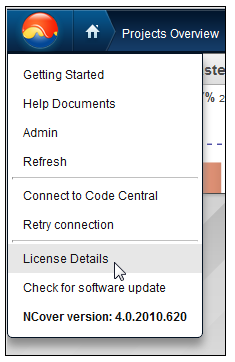 You have added Code Central and want to convert a standalone Desktop license to one managed by Code Central. 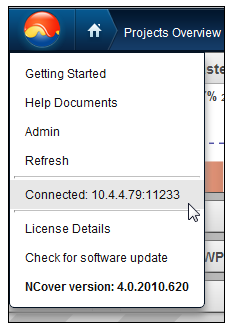 Access the main menu by clicking on the NCover icon and selecting "License Details." The License Registration window will display the current licensing information and the option to use the Reactivate button. Enter your Desktop key code and start using standalone Desktop. Click Connect to Code Central. Code Central Server Name -- Enter the address of the local host and the port for the Code Central server, which defaults to 127.0.0.1:11233 at installation, but can be modified to use any address or open port you choose. Click on Login and Activate and Desktop will contact the Code Central server. If the connection info is valid and the Code Central service is running, a success message will display. Back on the home page, the main NCover menu will also show you that Desktop is connected to Code Central. 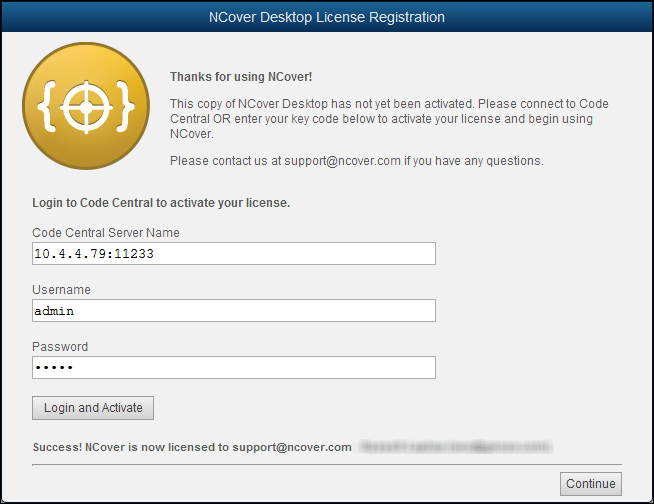 Click on Activate Key Code and Collector will contact the NCover license server. If the key is valid and active, a success message will display. Please see the offline registration doc for more details.